I had intended by this point in the week to have accomplished something ( yeah I know its Monday) I wanted Forget Me Not to be out, I wanted to have more of I’ll be seeing you done. My dad in the hospital, not sure if he will recover from this, my mother loosing it… ENTIRELY ! Verbally attacked by someone I haven’t spoken to in MONTHS ! Seriously, it wasn’t necessary ! So here I am on Monday, feeling like its Friday. I will accomplish this week what I wanted to last ! How is that for resilience ? Finally reached a very difficult scene today, one that brought me to tears to write. Glad its out of the way, but now I have to go to bed and deal with memories ! Guess that’s why I stopped here a moment. To say this to everyone. Girls out there (including my own) Guys who love you will not hit you, they will not make you cry, in fact its the opposite, they will do just about anything to make sure you are not crying. This includes verbal hits as well, sometimes those are so much worse ! And guys…. bullying your girlfriends doesn’t make you cooler or more of a man, it makes you a coward ! Okay, rant done….. with that I bid you good night ! Have you read it? If so I’d love to know what you thought of it. Word of mouth has always been the strongest form of marketing in the publishing world, and this the case even more so now with ebooks and the ability to review books at online stores. Remember Me has so far sold quite a few copies, yet only garnered three reviews, two on Amazon.com and one on Amazon.co.uk and while these reviews have rated the book with five stars and been very positive, we do need more reviews in order to help draw it to the attention of the multitude of readers out there. So if you loved the book, liked the book, Even if it was only just a little bit. Please post a review for it… even if you have some constructive criticism. I welcome reviews of the book on Amazon.com, BarnesandNoble.com, Smashwords.com or where ever you bought it. 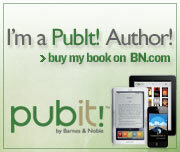 Well, there it is, the Nook version on the shelves at barnesandnoble.com! Additionally, the kindle version now bears the same cover as the versions for other formats. I am at a point in this third book where I have to push past the fuzzy parts and get the story even in a vague form on the paper, and that’s not easy for me to do ! When I do my speeches for classes I tend to tell them erasers are evil things…. don’t ever erase a thought. I should practice what I preach. I’m stuck in a haze of writers block…. doesn’t help I am not feeling well today, but I have set a goal chapter one by days end. Wish me luck !